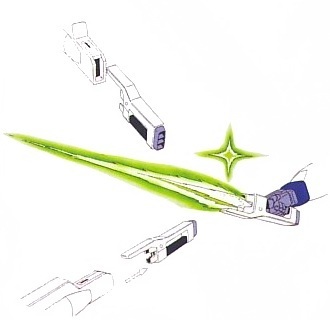 Beam Saber. . Wallpaper and background images in the Gundam club tagged: gundam. This Gundam photo might contain ধাতু কর্তনের জন্য করাত, হ্যাক করাত, ধাতু করাত, hacksaw, hack saw, and metal saw.